Improved behaviour, attendance and attainment for young people. Focuses on core British Values – democracy, mutual respect, tolerance and the rule of law from individuals who live and breathe them. Enables students to develop their self-knowledge, self-esteem and self-confidence. Focuses on careers advice and employability skills and how we can turn young people around. See Beth’s short video story below. The SkillForce presentation was delivered by Ben Slade, the SkillForce CEO, a former Head teacher with 15 years experience, supported by colleagues including two of his instructors. He explained that SkillForce is a not for profit company that exists to inspire young people to succeed. 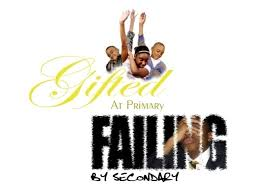 They aim to teach resilience and their role, when called upon by schools, is to step in at the point just before a challenging student is about to get excluded, or referred to a Pupil Referral Unit (PRU). He said that SkillForce could educate 10 students for the same cost that it would take to fund one student in a PRU. SkillForce’s approach is to engage, prepare and develop. Their instructors use activity-based learning in the classroom and activities beyond it to inspire and raise levels of achievement, deliver improved behaviour, attendance and attainment for young people, and enable students to develop their self-knowledge, self-esteem and self-confidence. That is all very laudable and from the numbers, it seems to be working very well. SkillForce have worked with 50,000 people over the years and aim to work with another 100,000 children over the next 10 years. It was interesting to see the military influence on this programme, for two of the employees present were ex–RAF staff and some of their patrons and senior executives were former senior RAF men and women. These include none other than Prince William, a patron and of course, serving RAF soldier. Thank you for reading our review. We hope you enjoyed it and that if you did, will post a comment and/or share it with others who have the same interest in this topic and may also appreciate the chance to read it and comment. Tiemo Talk of The Town review and organise topical debates and seminars. Since 2005 they have held debates on a variety of topics, including social issues that empower people and communities; politics, the family, relationships, personal finance, education and religion. This entry was posted in Debates, Education, London Festival of Education and tagged ben slade, london festival of education, skillforce. Bookmark the permalink.